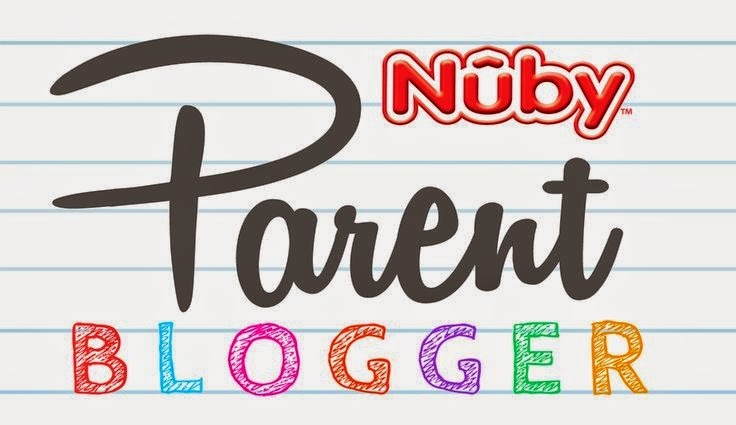 First off, I am so thrilled to announce that I am now part of the Nuby Parent Blogger Program! I (along with some other really great bloggers in the program) will be bringing you the "deets" on all things Nuby! 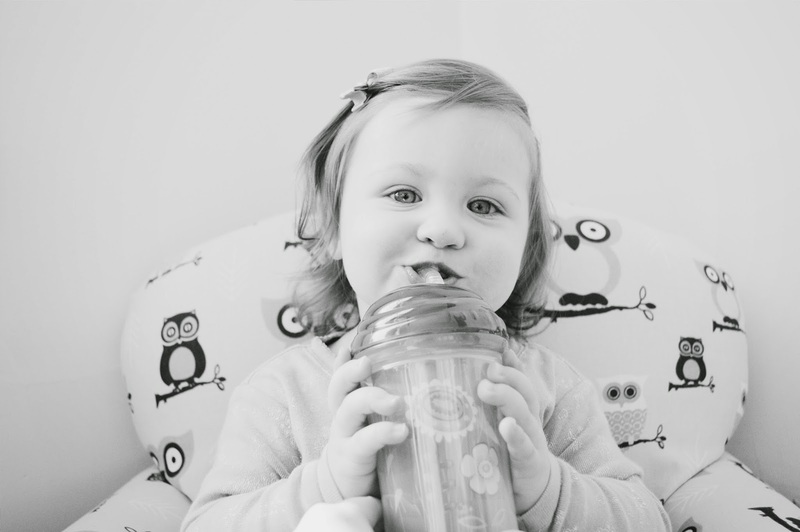 And today I am reviewing the Nuby Clik-It Insulated Flex Straw Cup! Seriously, We LOVE everything about the Clik-It Insulated Flex Straw Cup! It's a fun design, cute graphics and it truly is like a real straw! The Clik-It Insulated Flex Straw Cup holds 9 oz of liquid and with all the "rigorous" testing I've done to see if it was truly a no spill cup I've come to the conclusion that it really is no spill! I've turned it upside down, left it tipped over for hours on the countertop and my daughter might have even thrown it a few times. Lol. 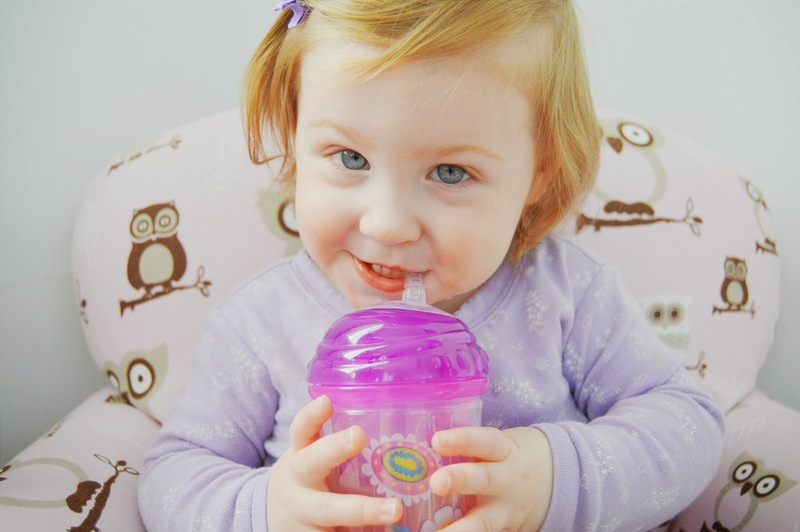 The insulated base helps keep drinks cooler and fresher for much longer than normal sippy cups (which I know will be great during the warmer months of summer) and helps protect furniture from "sweating" that some regular sippy cups have problems with. 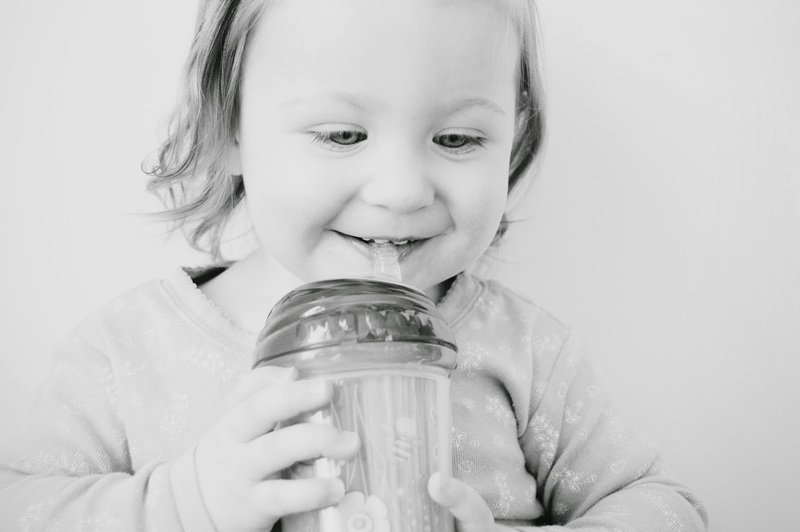 I love that the soft silicone straw runs down to the base of the cup encouraging my daughter to learn to hold her cup upright while drinking (if she tips it up like a bottle she can't get any drink from it) which is something I've been working with her on lately. 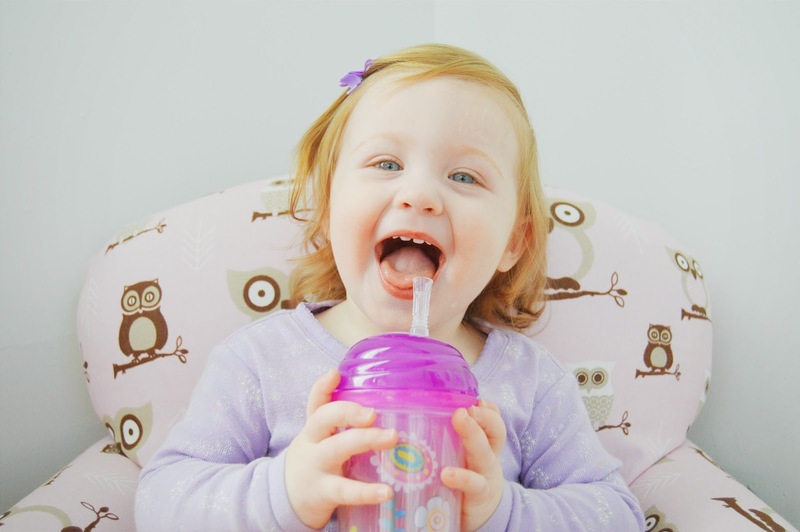 The "Touch-Flo" technology activates as soon as your child puts the spout in their mouth to drink and with leak proof technology that you can not only see, but hear as well, I LOVE that I know the lid is locked into place when I hear the "click", giving me complete peace of mind when it comes to spills! 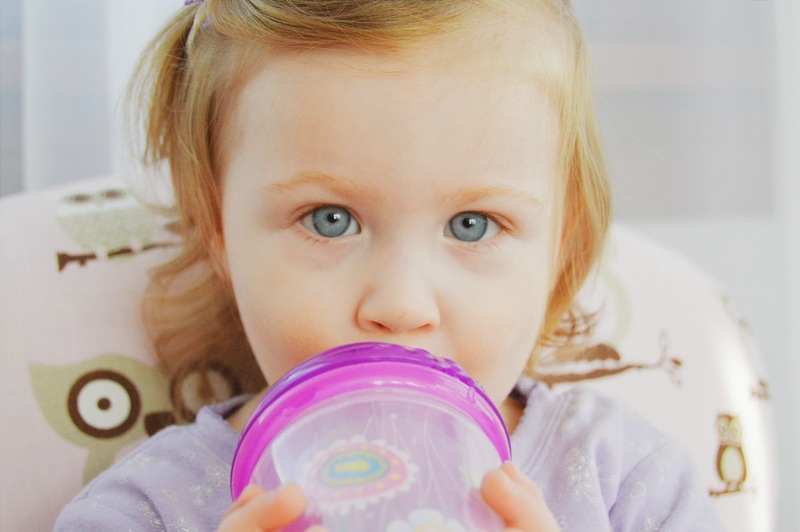 The Nuby Clik-it Insulated Flex Straw Cup is dishwasher safe (top rack only though), BPA free, Phthalate free, Nitrosamine free, Latex free, PVC Free AND endorsed by pediatric dentist Dr. Grace Yum, the Clik-It Insulated Flex Straw Cup is the way to go! 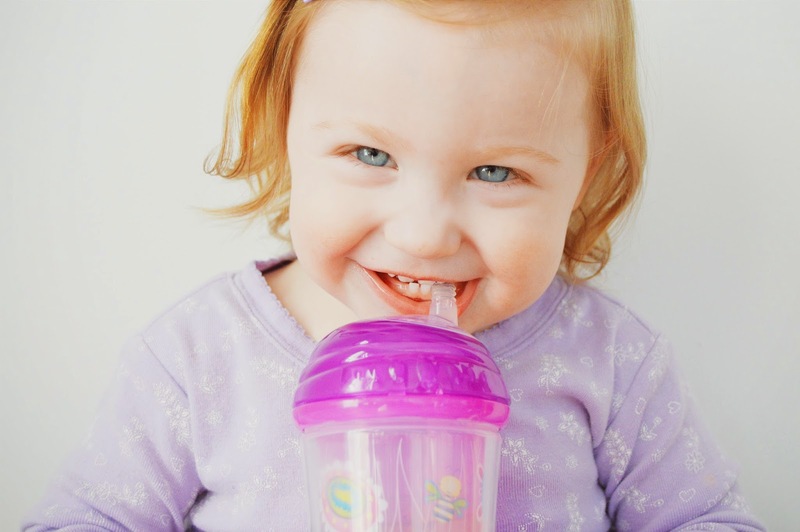 Especially is your child prefers straw cups over regular sippy cups like mine does! 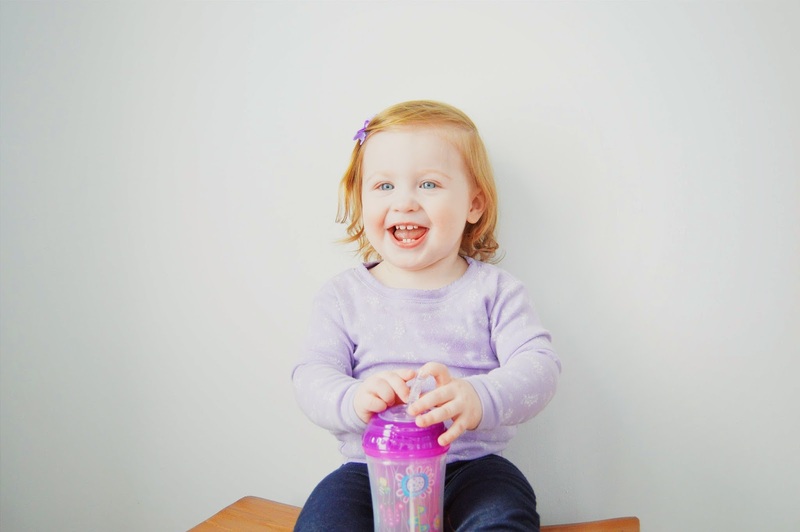 My daughter has taken to this cup better than any sippy cup we've ever tried and we especially love putting our Honest Kids Organic Juice and Lemonade in our Clik-It Insulated Flex Straw Cup and water sometimes too! Want one for your child? Clik-It Insulated Flex Straw Cups are available at Target for less than $5 and come in a variety of adorable prints! Owls, flowers, whales, rocket ships and jungle animals, just to name a few!